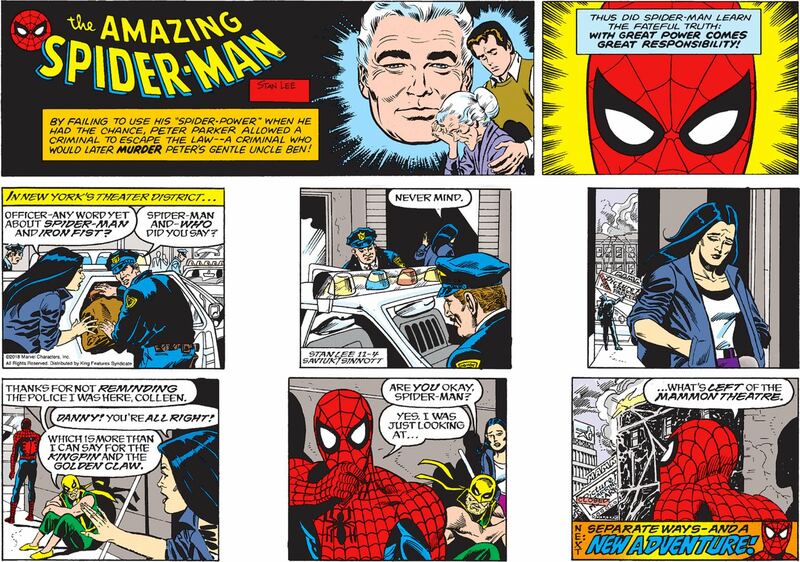 As hilarious as it would be if Spidey’s sad line in the final panel here were about his heartfelt commitment to the historic preservation of New York’s small architectural gems, in fact he’s anxious because the Mammon was the venue for MJ’s play; despite the fact that he whines endlessly about her making more money then him, they still need her Broadway earning power to, like, pay rent and such. Also, fun fact, MJ casually mentioned that due to theater repairs her play was “just going on hiatus for a couple of weeks” and that was two years ago, so they’re gonna need some more money quick. So Dennis literally stole money out of Mr. Wilson’s wallet, leaving him unable to afford the medication he needs to live? That … that’s actually legitimately menacing. 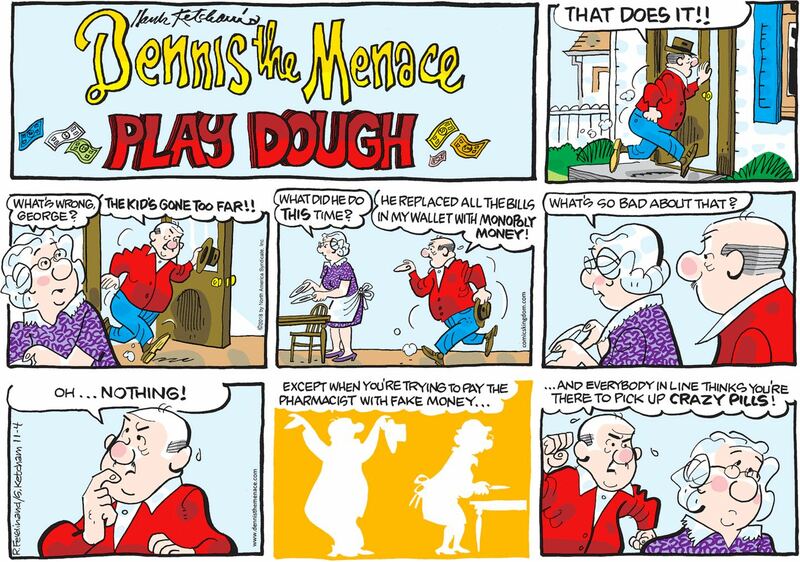 Congrats, Dennis, you’ve graduated from whimsy to theft!